One question a bookworm would always receive is: How did your love for reading started? Well.. I actually don’t know. Memories from my childhood are super vague so I don’t remember much from it, but based from what everyone used to tell me, I already know how to identify objects, drawings or things at the age of 1 and have learned how to read by the young age of 3. Trivia: I am already talking even before I turned 1! That’s how talkative I am! That is also the reason why everyone loved me as a kid. Everyone likes talking to me because I was known as that bubbly, talkative kid who has answers to everything they say. Hahaha. Fast forward when I was about to start school, I remember how I was asked to go to the school principal’s office with my Mom and was told to read this certain book in front of the principal herself. I was young, I probably didn’t even know what I was doing, but I just did what I have been told. What I remember next is that I just loved reading and reading books; until my 7th birthday came and one of my godmothers gave me this storybook about Disney princesses. 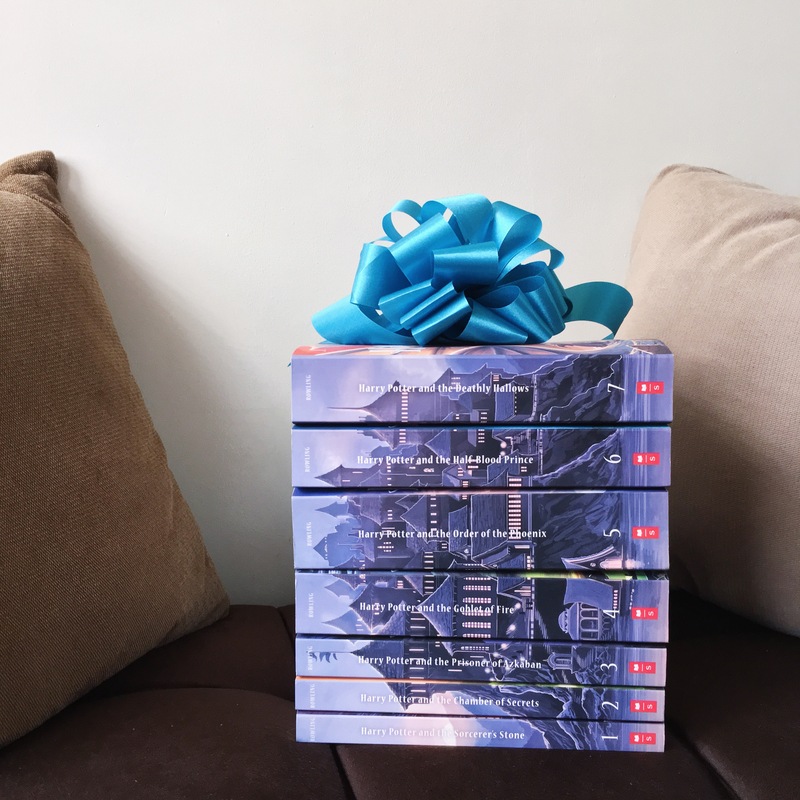 It was a big, blue, hardbound book, filled with beautiful drawings and stories about Cinderella, Snow White, and other princesses – which automatically became my favorite book that time. I kept on rereading and rereading it, smelling it (!! ), until I grew older and had other favorite books. You will find me reading everywhere. One sermon I wouldn’t forget is that one night when my family and I were heading somewhere then my Mom told me that I should stop reading because it’s dark and we’re inside a moving vehicle! Guess what I’m reading that time? A psychology book. What the hell? I was in grade school and I’m already reading about the things I’m writing on my blog. Self-help, optimism, positivity, and such. I know, I can’t believe it myself, as well. And I guess that’s how it all started. I learned how to save money at a young age so that I can buy my own books because my parents never spoiled my brother and I. They would give us what we want from time to time, but usually, they would always tell us to work hard for something that we want; and that it’s hard to earn money. With that, we were never the “Mom, Dad, I want this. Please buy me this.” kind of children. And for me, that’s a good thing because I brought that lesson with me until I grew older. The photo above is taken last February 2017 and I had bought quite a few books after that so obviously, this shelf is incomplete. I never really knew anything about “genre” and never cared about it when I was younger. All I know is that I just wanted to read. That’s all. Though of course, what I read are age-appropriate so I started with Disney storybooks to Winx to W.I.T.C.H and other stories related or close to that. The brave kid in me even read horror books that time!! When I turned High School, that’s when I started reading books written by Bob Ong, Nicholas Sparks, Rick Riordan – who turned out to be my first favorite author because of the Percy Jackson Series – and other Young Adult genre authors. Up unto this day, Young Adult Contemporary is the genre that I’m still into. Though sometimes, I read other genres whenever I feel like it; so I guess, genre really isn’t a thing for me in choosing which books to read. A lot of people would tell me how expensive my collection is. And I won’t deny; it’s kinda true. Books usually cost around 300-1000+ PHP and if I would compute how much I’ve already spent with all my books, I could probably travel to 2 or 3 countries with that amount of money. But what I would always tell them after is how priceless the learning and knowledge I’ve had from reading those books. I’ve traveled to different cities, experienced a lot of adventures, felt different kinds of feels, just by reading. It’s a treasure that I will bring with me until my last breath and no amount of money could take that away from me. From us. Hardbound or paperback? Paperback. I don’t own any hardbound books because #1: they are more expensive; #2, the paper cover thing on hardbound books distracts me; and #3, I started with paperback books and I would totally feel OC if ever I buy one and put it on my shelf. Physical copy or eBooks? I never liked reading eBooks. Probably because I would just be on my phone or another device (again), and one of the reasons why I’m reading is to escape that digital world I’m in. Besides, I am in love with the smell of books!! Do you need a room to be silent while you read? YES. Yeeees. I am so amazed with people who can read (and write!!) while listening to music. H O W?! Whenever I do that, I get so distracted especially if I know the song because a part of me is already singing and I just.. can’t do both. I also tried reading with just instrumentals on the background and I still can’t. Favorite book or author? I don’t have one. But every time someone asks for a recommendation, I would refer Every Day by David Levithan. I guess that’s it for my book shenanigans! How about you? What got you into reading and what’s your most recommended book so far? Just leave a question in the comment box if you have any and I would love to talk with you. Have a great week ahead! It’s funny I always need piano music when I read or write. It helps me focus ☺️ The last picture you took is so pretty! I like E books too but my eyes get tired quickly. That’s what they tell me, too. That it helps them get more focused while here I am getting distracted with background music while reading. Hahaha. Mamsh buti nakakapag-McDo ka pa!! Hahahaha. Ako, school bahay lang talaga para iwas gastos 😭 HAHA! Grabe yung shelf mo girl omg sobrang organized ✨ I see a lot of my favorite books there too! Love this post! When my mom told me I started reading when I was 3, I didn’t believe her. To me, it’s just impossible and I don’t remember anything when I was at that age. But I do remember reading astronomy books when I was 5. Hahaha I also love the smell of books, but in 2014 when I was in Europe for 4 months, I bought a Kindle just so I can read without having to worry about packing so many books to bring back to the US! I’ve read about 75 books in 4 months time. Wooow! That’s a lot of books, Ate!! Pero I agree. Siguro that’s one of the good things rin talaga with Kindle. You can bring it anywhere plus less the hassle nga. :) I believe eBooks are less expensive than physical copies rin ata diba? I just realized I bought and read that much books when I came back to the US. My “unlimited book allowance” got cut off. I love my Kindle. It’s my travel companion. And yes, e-books are cheaper than paper books. I used to be a real bookworm back in the days before I was 16, Heck I used to read up to 10 books easily between two to three weeks, But then over time as electronic formats became more available? I haven’t been doing it as much anymore :S oof! I know, technology makes everyone a bit more lazy these days! I actually feel sad for the kids now who won’t get to know and experience how fun life is before the gadgets and technology. I agree. People say na kaya raw siguro I’m quite good at writing kasi mahilig ako magbasa. And yes, i would suggest read the HP books first bago mo panoorin yung movie. Majority ng nakausap ko mas nag-enjoy sa takbo ng story sa book compare sa movie. I miss reading!!! Every down time I would still squeeze in some reading because like you, I can’t read with the TV on and my son awake. My recommended book would still be Diary of A Young Girl by Anne Frank and Bossy Pants by Tina Fey. OMG, I just asked about the DOAYG book to Ate Aysa (aysabaw) a few minutes ago. I was asking if she has read it because I’ve been eyeing it for quite a long time but never had the “assurance” to buy it. Dahil d’yan, sige, check ulit natin ‘yung kay Mareng Anne. :) Haven’t heard about the Bossy Pants pero check ko rin ‘yun. Thank you, Mommy A! I find these women really funny and inspiring, hope you enjoyed them as well! I’d have to say my favorite is the 4th movie. 💗💗💗 Which one did you enjoy the most? Yes!! The Goblet of Fire’s the best one for me too! It’s always a pleasure to meet a fellow book lover ☺ And I mean those types who even smell the pages of a book! So true! Nakakatuwa kapag may nakakakwentuhan ka about a certain book tapos minsan makakaclose mo pa talaga. :) Thank you so much, Kuya Andrei! Magaling ka magsulat. Ipagpatuloy mo lang..
Here’s to more books you will read. Cheers! Nagumpisa ako, I think, grade 3? I stopped reading non-academic books in college and during the board exams. When I started working and then met bookish friend from Goodreads, dun ako bumalik and nagboom bigla ang love for reading ko. Hoarder ako dati ng prints, pero natutunan ko naring maglet go. Charaught. I bought my Kindle in 2011 and sadly nagpaalam na siya sa akin after ng 6 years namin, beshy. Mas madalas na ko dun magbasa pero hinahanap hanap ko parin amoy ng libro kaya bumibili parin ako kapag may gusto. Hirap lang pagseries, kasi kung HB ung first book na mabibili ko at UK Ed dapat ganun lahat. Oh, I added you pala in GR. Di ko palang nacheck if inaaccept mo na. HAHA gusto ko ‘yung nakakahanap pa rin tayo ng hugot kahit sa pagbabasa, eh! Hahaha. Oo Ate ‘no? Parang nakaka-OC kasi tignan kapag pinagtabi mo ‘yung books sa shelf mo tapos magkaiba ng itsura or ‘yung length. My love for reading started because of HP. I still remember those times when I was studying for my board exam and reading HP books at the same time. I’ve just started rereading HP book series but this time I’m reading ebooks. I never acquired the collection because it’s too expensive and I can’t easily bring them when I migrate. Aww a fellow bookworm 🤗🤗🤗 i love your shelf! More books more fun!! Aww. Thank you so much, Marie!! 💘 I’ve been on a break at the moment on reading books because I don’t know why I can’t focus but I really miss reading! Awww. Parang ‘di ko pa ata kaya ‘yung ganun, Ate. Hahaha. Kahit na gusto ko na rin mag-transfer sa eBooks kasi nga less space tapos mas makakatipid.